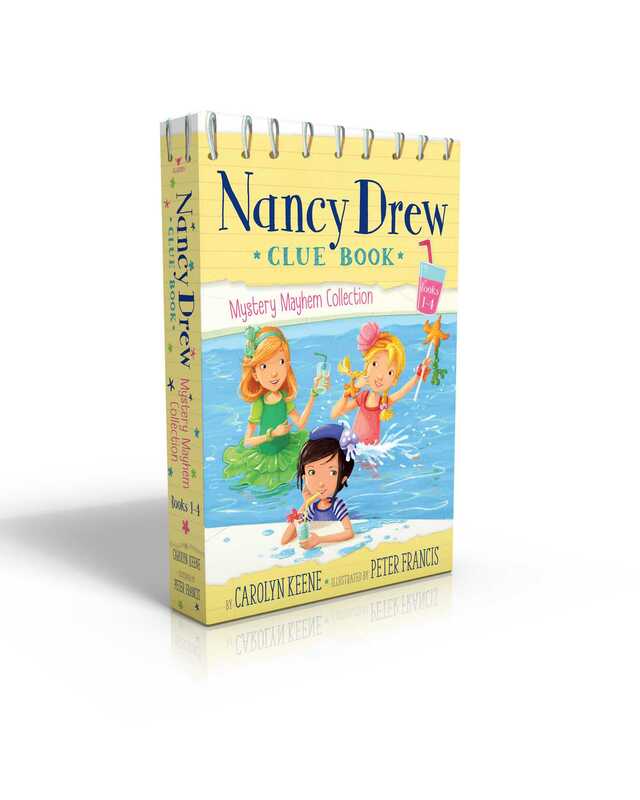 Help Nancy and her friends solve mysteries with the first four books in an all-new, interactive Nancy Drew chapter book series, now available in a collectible boxed set! Each book encourages readers to jot down their own ideas and solutions to the case! Join Nancy and her friends as they discover who’s causing a major pool party problem, investigate the case of a lost lemonade recipe, find the culprit behind a missing telescope, and track down the clown who switched out a ringmaster’s whistle with the first four books in the fun and engaging Nancy Drew Clue Book mystery series! This charming boxed set includes Pool Party Puzzler, Last Lemonade Standing, A Star Witness, and Big Top Flop.